Gov. 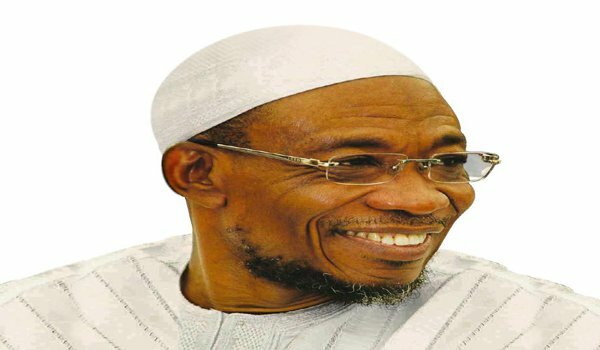 Rauf Aregbesola of Osun says he has no anointed candidate for the forthcoming governorship election in the state. Aregbesola, who disclosed this while addressing the All Progressives Congress (APC) members on Saturday in Iwo, in Osun West Senatorial District, was reacting to consistent agitations by the people of the zone to produce the next governor of the state. He said that he was not ready to impose any candidate on the people. He said that there would be a free, fair and credible primary to pick the party’s flag bearer. The Independent National Electoral Commission (INEC) had fixed Sept. 22 for the governorship election. The governor, however, appealed to party members not to allow the outcome of the primary to divide or disturb the peace and progress of the party. He said the outcome of the primary should rather unite the party to make it stronger and indivisible. ” Every party member is free to support any aspirant of his or her choice. ” But after the party’s primary, any candidate that emerges as the party’s flag bearer should be supported by all to enable the party to win the election convincingly,” the governor said. The APC Chairman in the state, Mr Adegboyega Famodun, urged the party members to remain strong and united for the election. Famodun said that with the achievements of Gov. Aregbesola in education, health and infrastructure development, among others, victory was guaranteed for the party. The Asiwaju of Iwoland, Mr Gbadegesin Adedeji , urged the governor and party members to allow Osun West Senatorial District to produce the next governor of the state. Adedeji said the zone had been marginalised for long and urged the governor to consider the zone whenever decision on who would be party’s flag bearer was being taken. “The entire people of Iwo constituency are solidly behind Mr governor. ” And I am using this opportunity to tell you that we want the next governor to be from this zone. ” We have many responsible, cultured, experienced, qualified and well trained people that will not disappoint the state if given the opportunity,” Adedeji said.